DIATOMACEOUS EARTH is a formula designed to reduce both internal and external parasites for pets. Useful to kill flies, mites, fire ants and fleas, DIATOMACEOUS EARTH is harmless to pets and people. This naturally occurring compound is a remarkable substance that destroys the protective outer shell of fleas and ticks, to cause dehydration. Containing trace minerals including calcium, potassium, copper, zinc, iron, phosphorus and selenium, this safe, effective and organic wormer works to keep dogs, cats and birds happy & healthy! 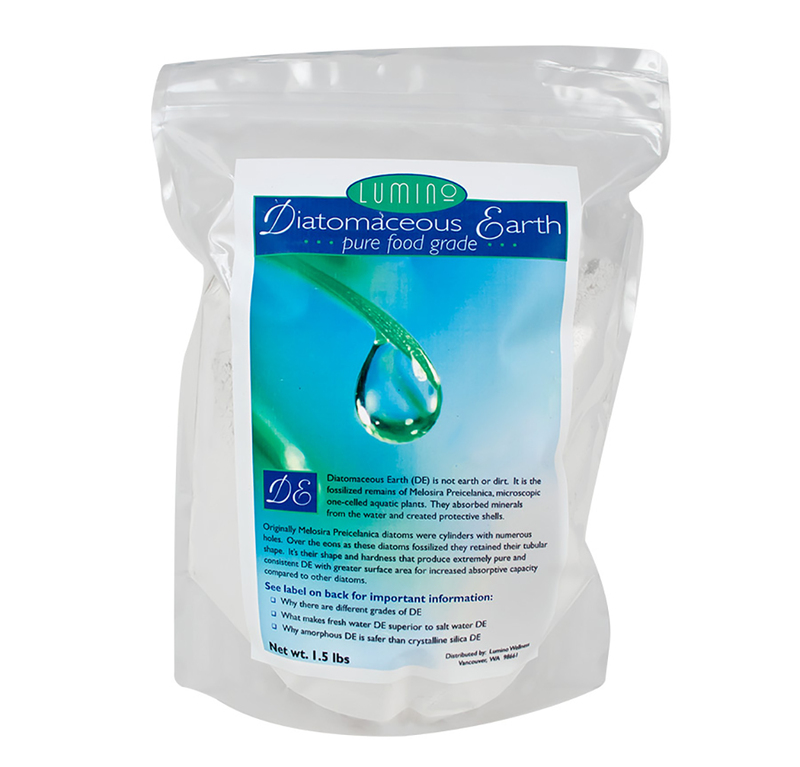 Safe & Effective: DIATOMACEOUS EARTHis made with high-quality pure food grade ingredients derived fromcrushed fossilized exoskeletons of microscopic diatoms to offer a non-toxic solution to pests. Internal & External Parasites: DIATOMACEOUS EARTH can be used as a wormer when mixed with animal food to kill parasites. Fleas & Ticks: As adesiccant, DIATOMACEOUS EARTH dries out the waxy outer layer of fleas and ticks causing death by dehydration. Safe & Effective: Consumer trials performed by the USDA have proven DIATOMACEOUS EARTH to be a safe and effective non-chemical approach to insect control. 100% Diatomaceous Earth (Amorphous non-crystalline silica). Garbage can--sprinkle DE in bottom of garbage can to deodorise. Kitty litter box--Mix a handful of DE in with kitty litter. Not only deodorises but also absorbs moisture. DE is odourless so will not deter cats from using box. Vacuum cleaner bags--To deodorize, place two tablespoons of DE in the vacuum bag or canister and again when half full. Footwear—place some DE in pantyhose tie off leave in shoes until using again. Alternatively sprinkle in shoes leave overnight shake out well and wipe up residue. Soft scrub cleanser--Mix DE with dish soap to make paste add few drops of vinegar if desired. Muddy footprints from carpet—sprinkle DE powder on wet or dry mud spots. Brush with stiff broom or brush with a rubbing motion. Vacuum in 1-2 hours or when powder and mud appear dry. Polish silver—Mix DE with water to form paste. Apply to silver, rubbing with cloth and wash well. Silver tarnish can be removed by rubbing on dry DE with cloth. Preserve and store flower bulbs--Sprinkle bulbs lightly with DE, store in an air permeable bag, hang in a dry place for airflow. Amendment for soil--For houseplants use ¼ DE to soil mix. As a soil conditioner it helps to break up clay and retain moisture in light or sandy soils. It contains 14 trace minerals that help to amend depleted soils. Facial Mask--Mix DE and water or oil together to make a paste. Apply to face with a circular motion until face is fully covered. Leave on 2 to 5 minutes then wash off with warm water. Teeth cleaner--Sprinkle a small amount of DE on your favorite toothpaste and brush as you normally would.